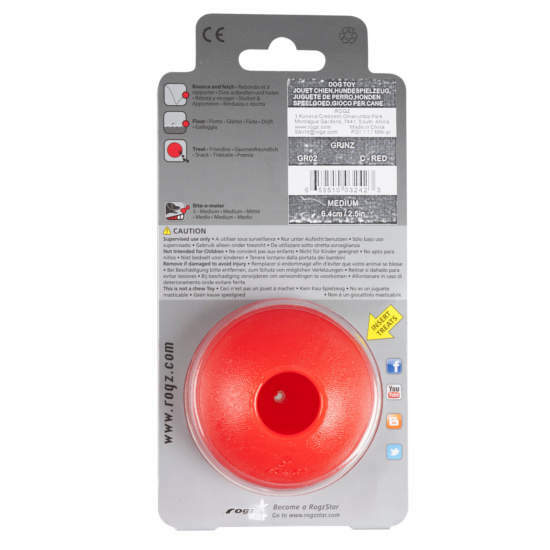 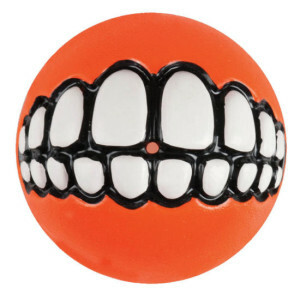 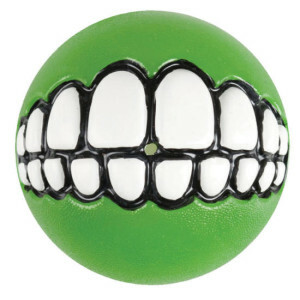 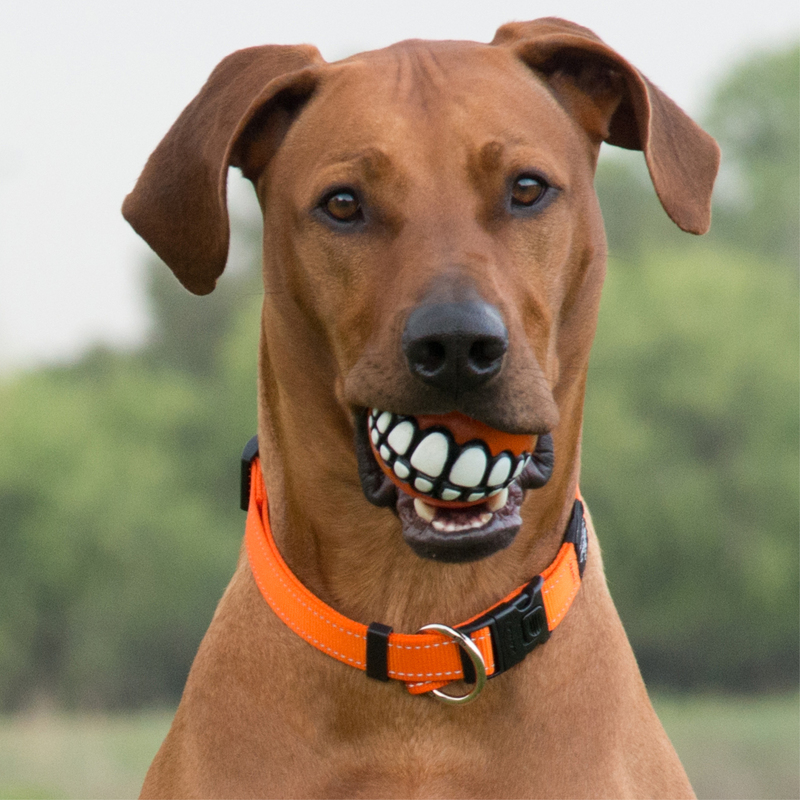 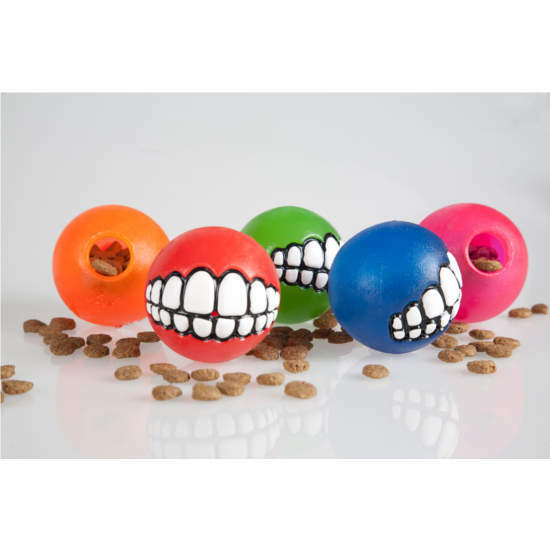 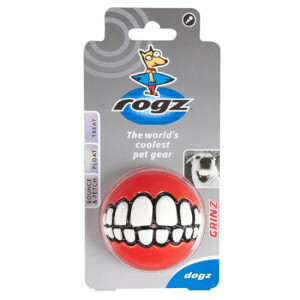 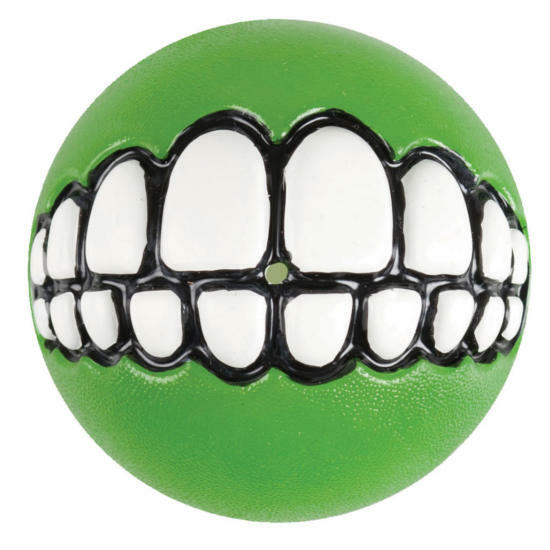 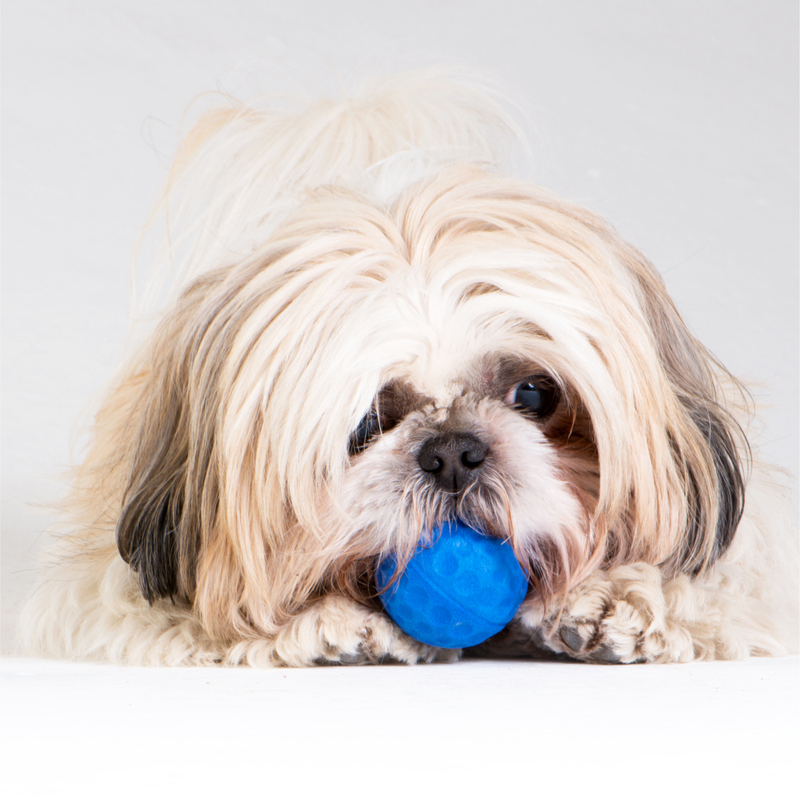 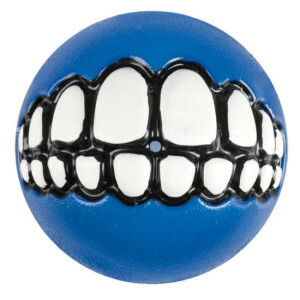 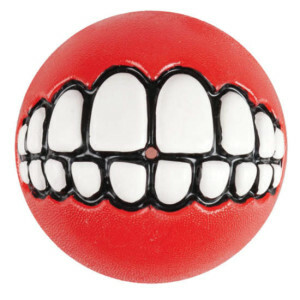 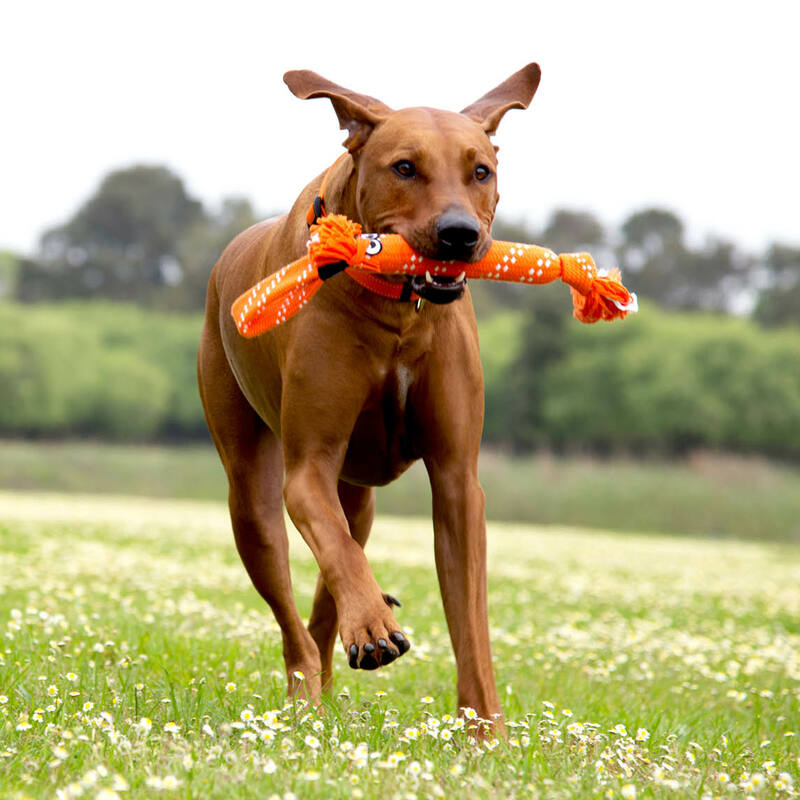 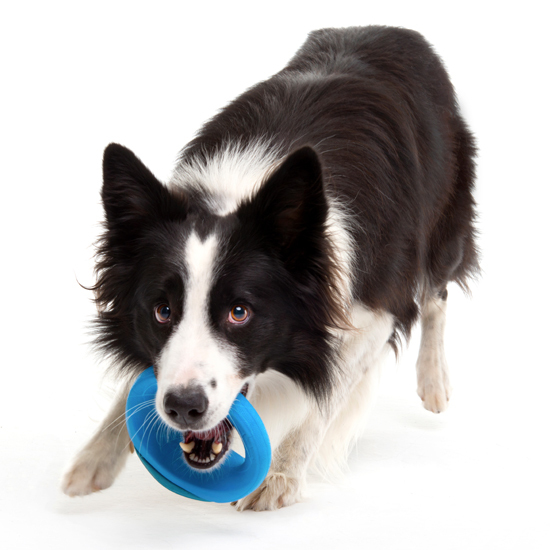 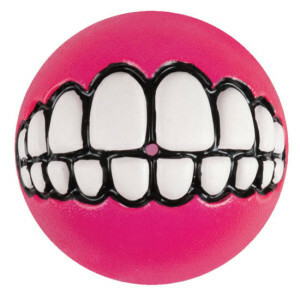 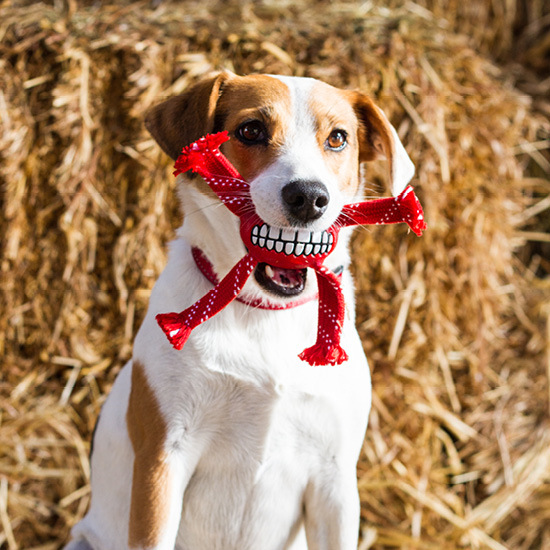 Soft enough not to hurt your dog’s teeth, but firm enough to bounce. The funniest, playful treat ball under the sun. 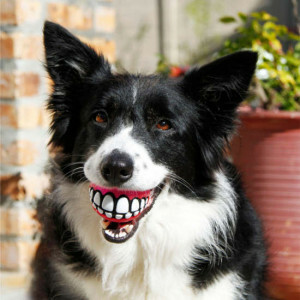 It will have Fido grinning from ear to ear.